We were delighted to receive this email and photos from a new customer in Pennsylvania. 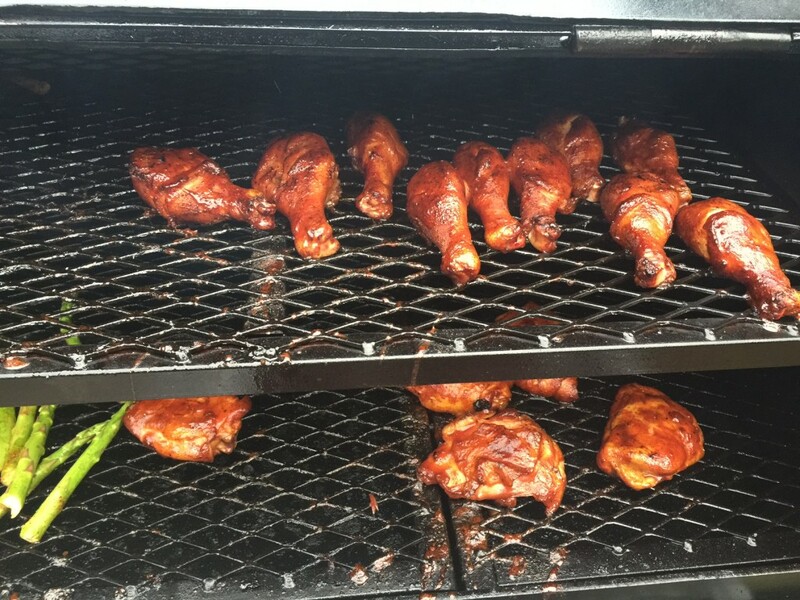 We thought we’d share the photos Dan sent of what he was cooking on his new 60 Lang BBQ Smoker cooker. I received my new model 60 Lang BBQ Smoker deluxe a couple weeks ago. AJ did a great job on the delivery and overview. I have cooked a couple times after seasoning. The chicken is fantastic. 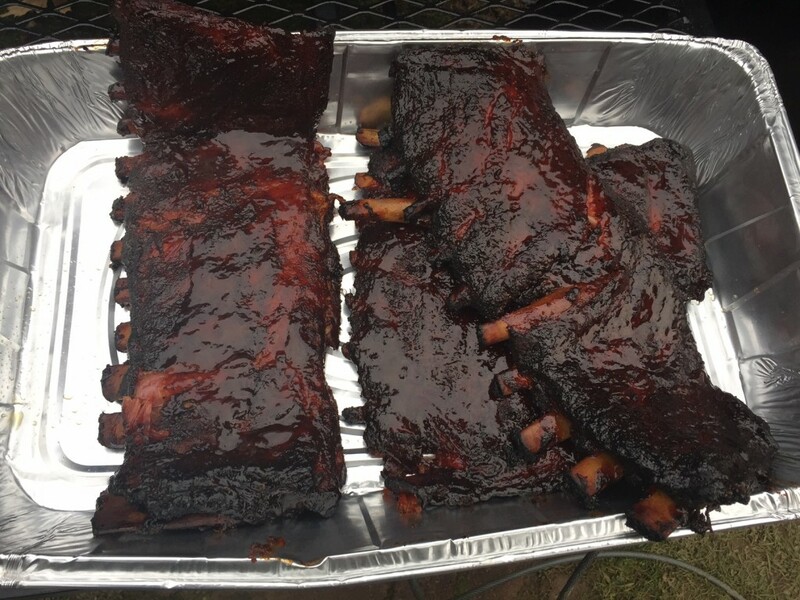 I smoked some St Louis cut ribs for 3 hrs and wrapped for 2 hrs. When I unwrapped them, I thought I ruined them. I never got bark like this before. However, i sauced them for about 30 minutes and they tasted fantastic. The bark was like eating candy and the smoke penetrates to the bone. I ran about 250 to 275 f with cherry wood and will go lower next time. My old smoker always ran cold and took forever. I attached a couple pics! Thanks for a great smoker. I just need more practice. 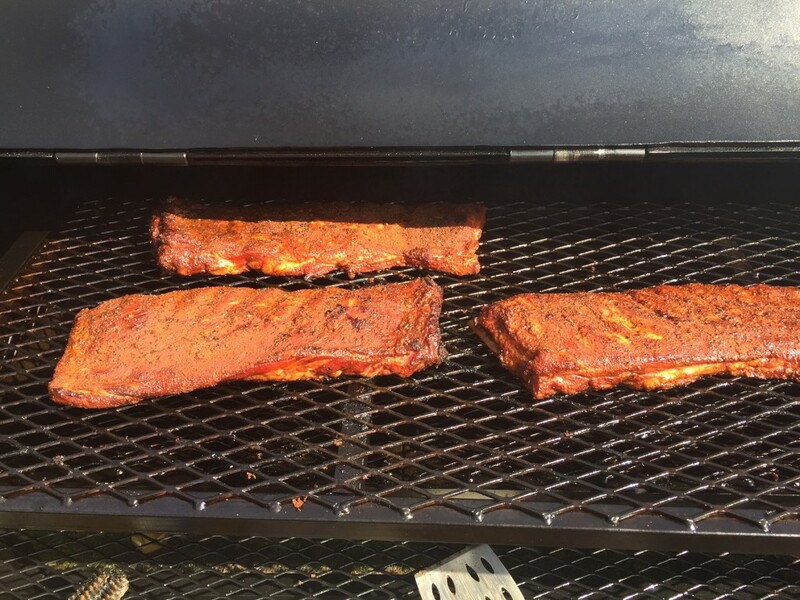 Smoked St. Louis Cut Ribs – yummy!